We can easily guess that Britax Boulevard ClickTight XE are closely related to Britax Boulevard ClickTight. As two closely related models, We can find that there are a number of similarities between Britax Boulevard ClickTight XE and Britax Boulevard ClickTight. Which of them is the one that you should choose? To answer that question, I’m sure that you are interested to know more about similarities and differences between those two convertible car seats. Let’s talk about their similarities and differences together on this article. As two closely related models, We can find that there are a number of similarities between Britax Boulevard ClickTight XE and Britax Boulevard ClickTight. What are their similarities? Let’s take a look at their table of similarities below. From the table above, We can find that most of the aspects of Britax Boulevard ClickTight XE and Britax Boulevard ClickTight are similar. Do you want to talk more about their similarities? Let’s talk about that together. Britax Boulevard ClickTight XE and Britax Boulevard ClickTight are both introduced as 2-in-1 convertible car seat. They can be used as rear-facing infant car seat for 5-40 lbs infant, then converted into forward-facing car seat for 20-65 lbs toddler. We can find ClickTight installation system installed on both of Britax Boulevard ClickTight XE and Britax Boulevard ClickTight. ClickTight installation system help you to install those two car seats easily. You just need to open the front of the car seat and feed the vehicle’s seat belt into the indicated path. 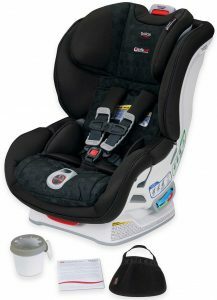 Britax Boulevard ClickTight XE and Britax Boulevard ClickTight come with SafeCell Impact protection system. SafeCell impact protection system consists of impact absorbing base, impact-stabilizing steel frame and patented V-shaped tether. Impact absorbing base reduce the force from a collision, steel frame provides strength and durability, while V-shaped tether minimize seat rotation and reduce forward movement during a crash. Those two car seats are also completed with 2 layers of side impact protection that formed by deep foam-lined shell combined with quick-adjust head protection that absorb energy and protect your child from side impact collision. We can find Click & Safe Snug Harness system in both of Britax Boulevard ClickTight XE and Boulevard ClickTight. Click & Safe Snug Harness system indicate that your child’s harness is properly tightened with its audible click. They also come with easy-buckle system that keeps buckles and straps out of your way so that you can easily position your child. 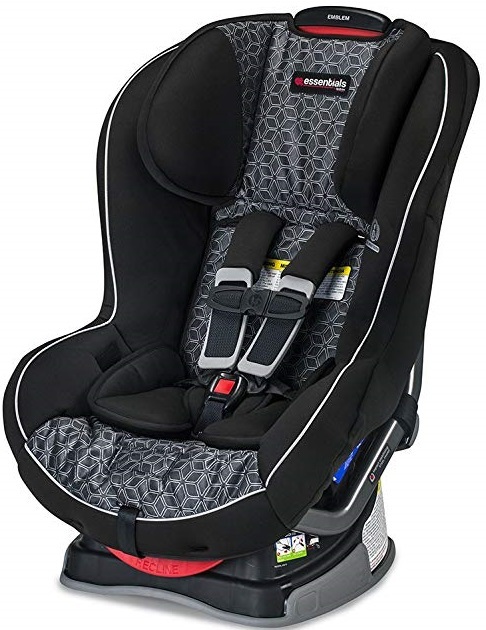 Britax Boulevard ClickTight XE and Boulevard ClickTight come with 14-positions harness and 2-positions buckle that combined with 7-positions recline. With 14-positions harness and 2-positions buckle, those two car seats can accommodate your growing child so that It’s properly fit and comfortable as your child grows. 7-positions recline additionally provides the comfortable angle for your child. We can find plush foam padding on both of Britax Boulevard ClickTight XE and Boulevard ClickTight. Plush foam padding helps your child comfortable sitting on the car ceats. They also come with easy to remove cover that help you to clean this car seat easily while you don’t have to remove the harness. Although Britax Boulevard ClickTight XE and Britax Boulevard are closely related, they are indeed different models. As two different models, We can find few differences between Boulevard ClickTight XE and Boulevard ClickTight. Their differences can be found on the table below. The table above tells us that there are few differences between Britax Boulevard ClickTight XE and the standard Britax Boulevard ClickTight. Do you want to talk more about those differences? Let’s talk about that together. We can find cup holder included with Britax Boulevard Clicktight XE, while We can’t find it with Britax Boulevard Clicktight. With included cup holder, your child can have easy access to their favorite drink during the trip. You can indeed purchase additional cup holder later to be attached in Britax Boulevard ClickTight. Britax Boulevard ClickTight XE comes with additional Storage Pouch, while Britax Boulevard ClickTight doesn’t come with additional storage pouch. Storage pouch that comes with Britax Boulevard ClickTight XE help you to organize baby’s important needs on the go. The warranty of Britax Boulevard ClickTight XE and Britax Boulevard ClickTight are different. 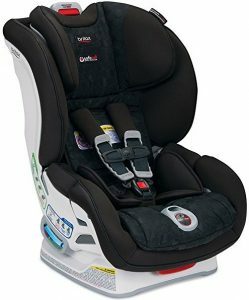 Britax Boulevard ClickTight XE comes with 5-year extended warranty, while Britax Boulevard ClickTight only comes with 1 year warranty. With 5-years extended warranty, you can enjoy longer peace of mind when you are using the convertible car seat for your child. Britax Boulevard ClickTight XE comes as “plus” model of Britax Boulevard ClickTight. That’s way We can easily guess that Britax Boulevard ClickTight XE is commonly offered at the higher price than the standard Britax Boulevard ClickTight. How much is their price difference? 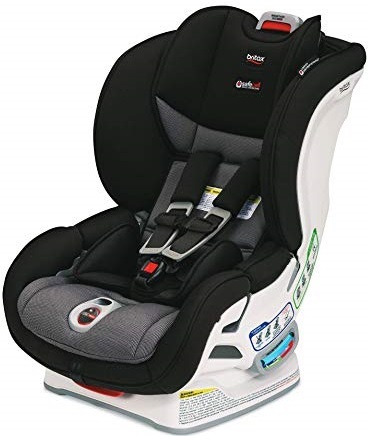 The price differences of Britax Boulevard ClickTight XE and Britax Boulevard ClickTight vary from time to time as the price of those two convertible car seats often change from time to time. So it’s recommended to check their latest price to find their latest price difference. Share the post "Britax Boulevard ClickTight XE vs Boulevard ClickTight Similarities & Differences"